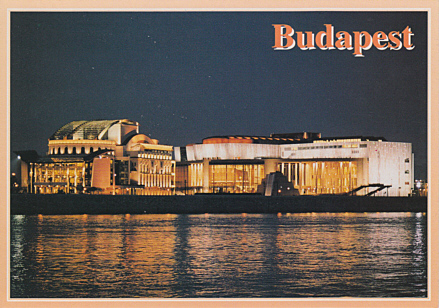 Built 2000-2002 by Mária Siklós. 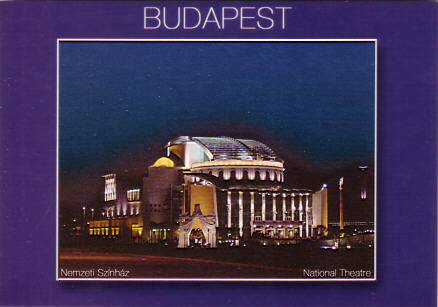 Opened 15 Mar 2002 with Madách's "Az ember tragédiája" (Tragedy of Man). The complex comprises a main hall (619 seats), a studio theatre (flexible seating up to 150 seats), and an open-air amphitheatre. 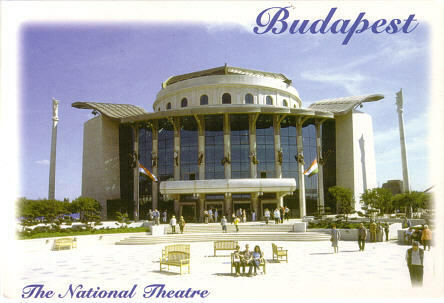 Used for drama performances by the resident company. 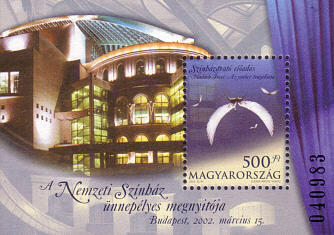 Front Text: "A Nemzeti Színház ünnepélyes megnytója, Budapest 2002, március 15." 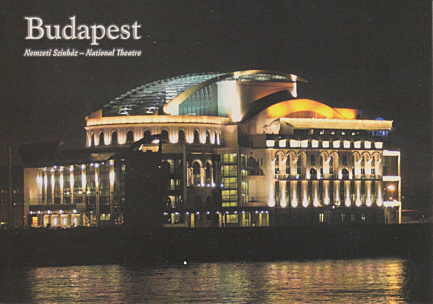 Front Text: "Budapest, The National Theatre"
Reverse Text: "Budapest, Nemzeti Színház, Nationaltheater, The National Theater"
Front Text: "Budapest, Nemzeti Színház, National Theatre"
Front Text: "Budapest, Nemzeti Színház - National Theatre"
Reverse Text: "Budapesti Nemzeti Színház, Hungary, Budapest National Theatre, MTI foró"
Reverse Text: "Budapest, Nemzeti Színház/National Theatre, Épült/Built: 2000-2002; Müvészetek Palotája/Palace of Arts, Épült/Built: 2002-2005"